Ute2 is nearing completion and its time to start thinking about what next. There have been a lot of thoughts going through my mind and to a fairly large extent I've been influenced by the work of Sam Overton. I'm inspired by his thinking and development and interestingly enough he seems to be pulling ideas from Ute2 for a covert project which he is working on. 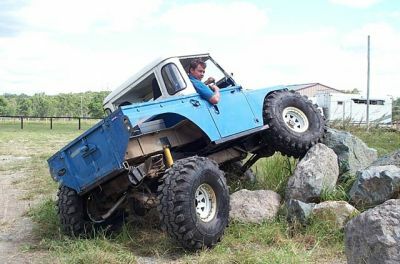 To tell the story, Sam built a crazy Range Rover, uted it, put Dana44's under it and wheeled it like there was no tomorrow. 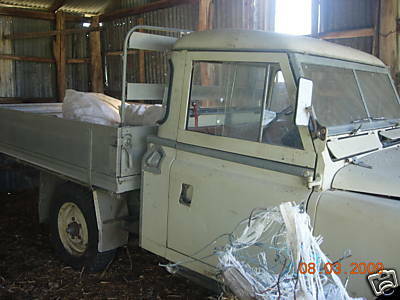 When the body was spent he then replaced the body with a SWB LandRover Series IIa body and fitted 42's. Now thats a truck I really like! 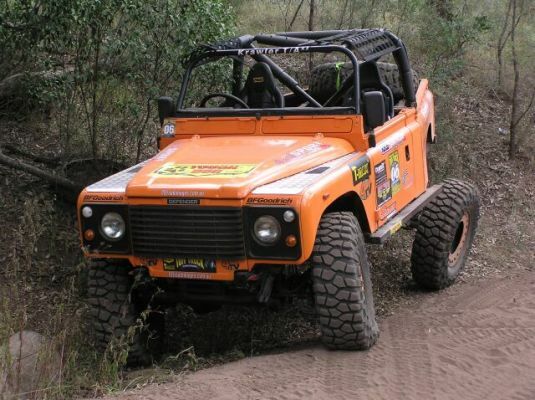 As it evolved even further, the Dana44's were replaced with Unimog axles with the wheelbase extended from 100" to about 112" and a Ford Windsor and New Process set of gearboxs fitted and moved rearward to make the famous and exceptionally competitive MogRover. 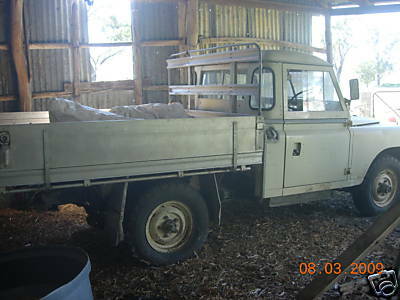 What seemed to have been learnt from this later resulted in the development of Lockless which was a Defender based truck, with a Rover 3.9V8 ZF LT230 mounted 450mm rearward to improve the weight distribution, mounted on hybrid Rover/Toyota axles and 37" tyres. Its a combination of these things that I'd like to look at in the next project. IIa body - ute cab or converted panel van. Tyres undecided - around 40-42"
Anyway, the long and short of it is that ol' Foxhound is now destined to get fixed up. 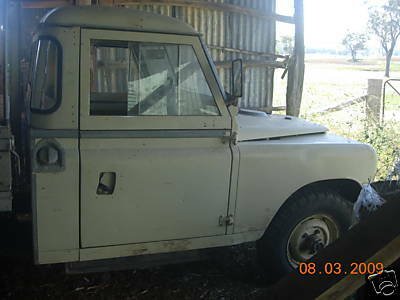 It wont be a restore job, but more a get it going and looking good project. On the flip side, many of the proposed mods can probably very easily (a relative term) get transferred across to Ute2 when the time is right. I am liking the Orange Lockless though!